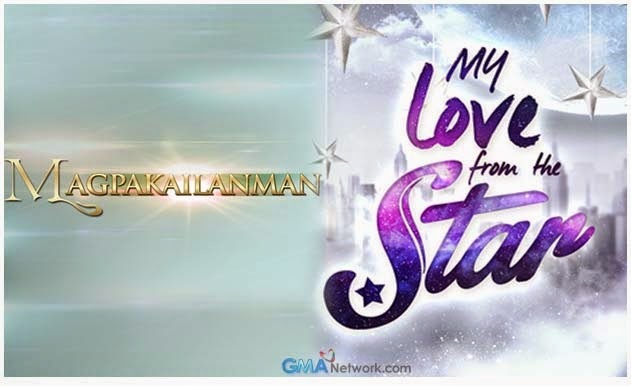 Manila, Philippines - GMA Network announced recently its good performance over rival station ABS-CBN in June 2014 Urban Luzon and Mega Manila TV ratings based from the data provided by Nielsen TV Audience Measurement. GMA-7 claimed it ruled in Urban Luzon with a 34.5 percent total day household audience share, surpassing ABS-CBN’s 32.7 percent by 1.8 points, and TV5’s 11.6 percent by 22.9 points for the period June 1 to 30 (with the dates of June 26 to 30 based on overnight data). GMA says it leads in total day ratings in Mega Manila with a 35.9 percent household audience share, up 5.9 points from ABS-CBN’s 30 percent and up 23.2 points from TV5’s 12.7 percent. GMA bested ABS across all time blocks in Mega Manila. GMA outnumbered ABS-CBN in the list of the most watched programs (including specials) in both Urban Luzon and Mega Manila, totaling 18 and 20 (out of 30), respectively. Some of the high performing Kapuso shows in the lists include Magpakailanman, Kapuso Mo, Jessica Soho, 24 Oras, My Love from the Star, Celebrity Bluff and Niño. Likewise making it to both lists are newly launched programs My Destiny, Marian, Ang Dalawang Mrs. Real, and Ismol Family. GMA also boasts NUTAM leadership as it grabbed aflternoon block lead 33.5 percent household audience share compared to ABS-CBN’s 31.9 percent. Nielsen has reported that Urban Luzon and Mega Manila represent 77 percent and 60 percent, respectively, of all urban TV households in the country.